We lock our computers to move out of the chair so nobody intervenes with what you are doing. But do you find the locked screen boring? read on.. This looks like a regular desktop but it’s actually locked. Surprised? You usually use the Windows logo key +L shortcut to lock your screen so nobody can use the system while you are away.This locks the screen showing a boring windows message. However, if you just want to lock the computer without actually hiding your screen or any of the programs running for that matter, try Clearlock. 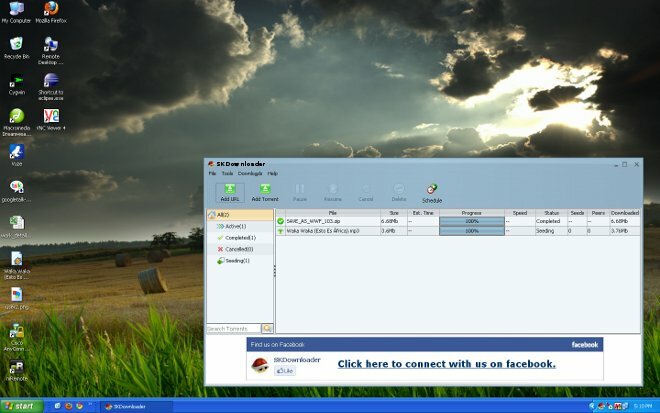 This tiny Windows utility will lock your system by adding a transparent layer to your screen. This layer acts like a glass top so the underlying screen will be visible, but mouse movements or keyboard clicks get blocked. So people will be able to view what is happening on the desktop, but can't use it unless unlocked with the password. To get started, just install and launch Clearlock, give a password and your screen /computer gets locked. The password box will also disappear in a few seconds. This utility will also come handy if you have a running presentation in a public place and you don't want anybody to stop or intervene – the passersby can watch the presentation but won’t be able to mess with the workstation even if you are away for lunch. You can also use it to protect your system from kids at home. Ever got bored with the stupid windows locked screen? Now show your desktop when it is locked.